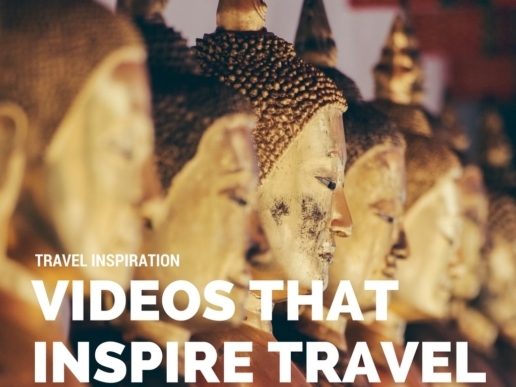 Most travelers visiting Japan follow the popular tourist circuit which takes them through Tokyo, Kyoto and Osaka and do day trips to popular destinations like Kamakura, Nikko or Nara. While there’s nothing wrong with traveling through Japan’s most popular sites, this is an amazing country with so much more to offer. 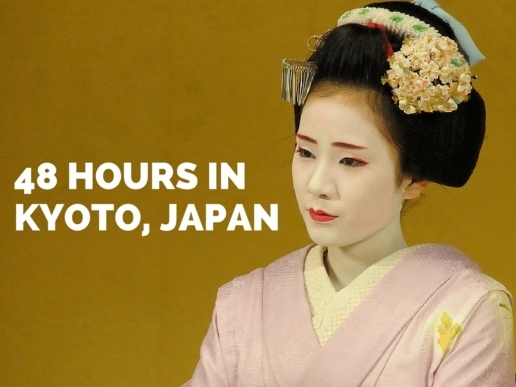 After all, Japan is rich in history, natural beauty and culture that’s both reserved and enchanting. Okinawa is composed of two dozen islands spanning the crystal blue waters of southern Kyushu all the way to Taiwan. Most people skip these islands, since it requires an added expense of a flight from mainline Japan to this archipelago. That my friends is a shame. 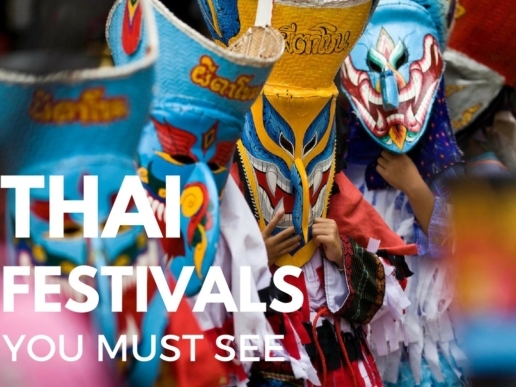 These islands offer excellent beaches, snorkeling and scuba diving experiences. If you’re planning a scuba diving trip then you must go Ishigaki Island, which has several sites like the “Manta Scramble” where you can view Giant Manta Rays up close. For more information on Okinawa check out the following link. 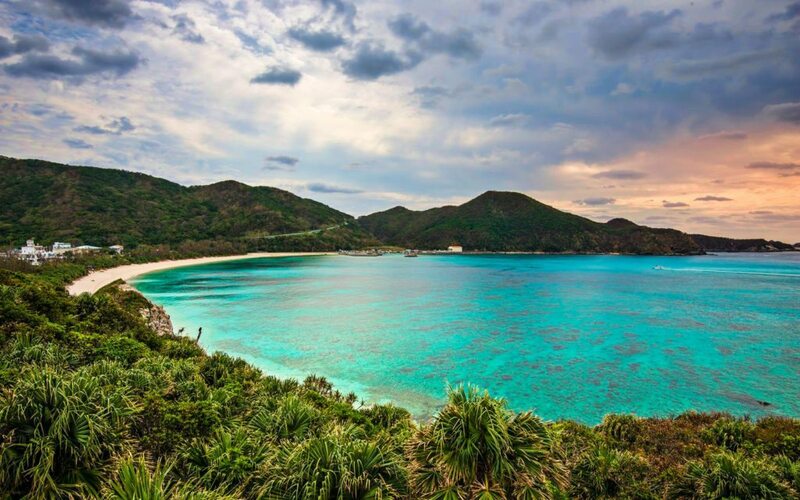 Okinawa islands offer excellent beaches to enjoy the crystal blue waters of the pacific. Above is Aharen Beach. The hiking is out of this world. There are six national parks on this island. There’s Mount Yotei, which resembles Mount Fuji. It offers several hiking trails up to its peak, where you’ll get mind blowing vistas of the surrounding area. 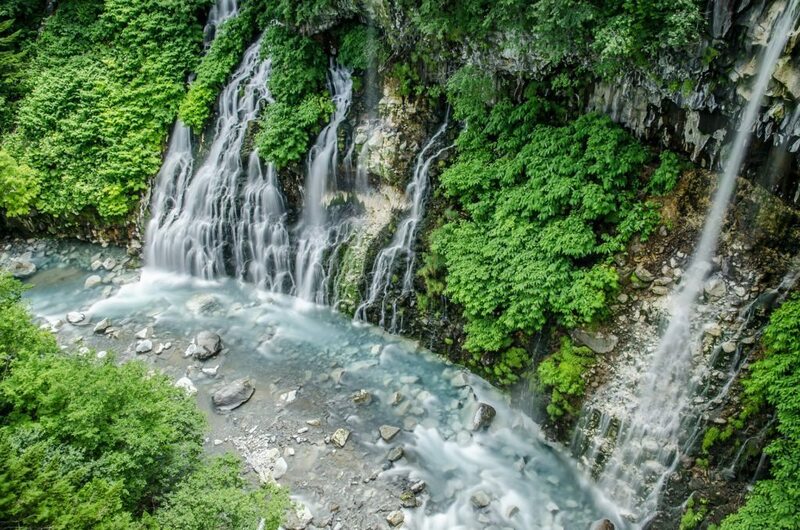 In Shikotsu-Toya Park there’s also Lake Toya and Noboribetsu ( also referred to as “Hell Valley”, due to the sulfurous gorge filled with active volcano vents). Freshest seafood in Japan: Hakkaido is blessed with some of the best seafood in Japan and sampling this area’s cuisine is an experience you won’t forget. 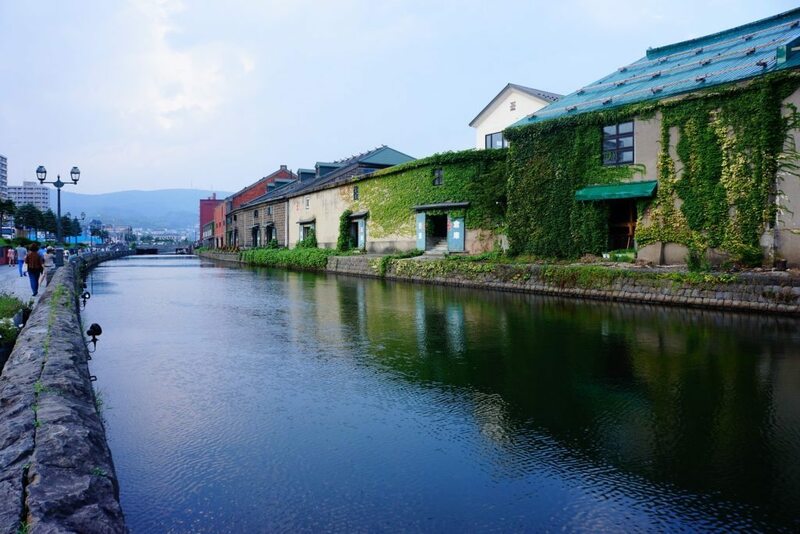 Otaru: This is a pecular town that sticks out in Japan, as it’s more European than Japanese in style. It’s famous for its stone building that line canals, which used to be herring merchant buildings which now host to cafes, restaurants and shops. Visiting this coastal town will be a memorable experience and the drive there is extremely scenic. Located in the south most of Japan’s four main islands (in Kyushu) is the Road Of Laputa. This road will take you through hot springs, active volcanoes and some of the country’s most beautiful scenery. 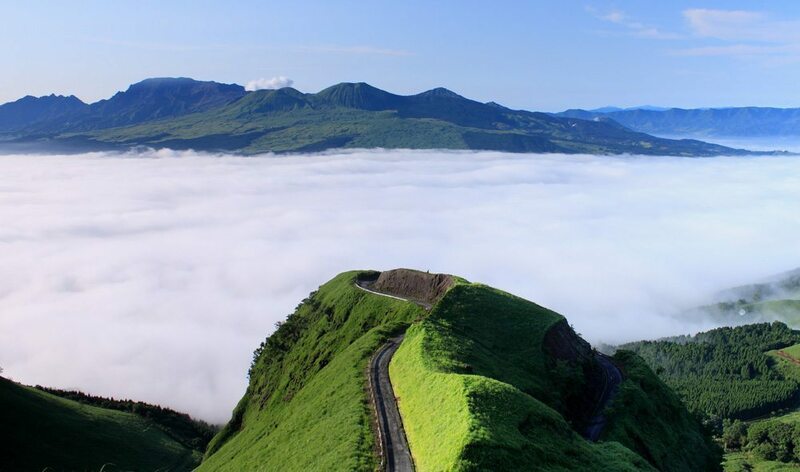 The area around Mount Aso in the Kumamoto prefecture is a standout. Interesting fact, the concept of the floating city in the movie “Castle In The Sky” was based on this area. On the right day with the right weather, driving through Laputa will make you feel like you’re driving in the heavens. Ryusendo is one of Japan’s three largest limestone caverns, located in Iwaizumi, Iwate Prefecture, Japan. The cave itself is beautiful with stalactites and other interesting formations. There’s a winding path that’ll take you to the real draw – an underwater lake lit up by underwater lights. 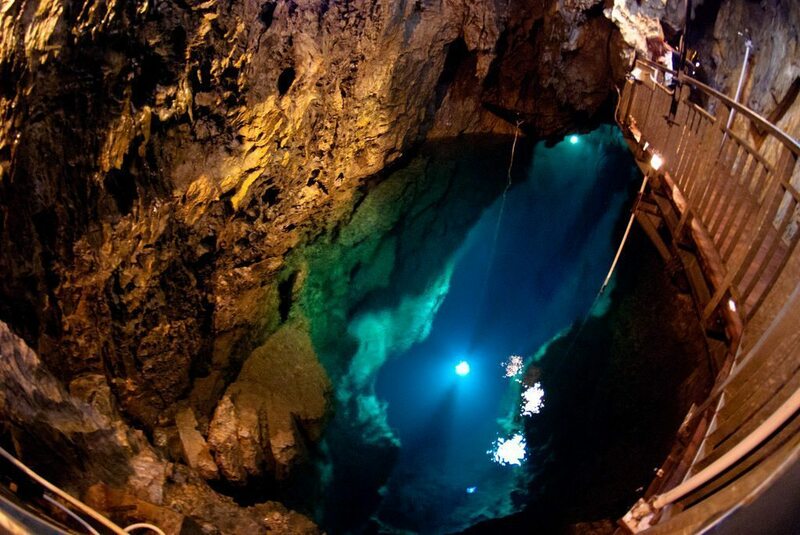 The lake is shockingly deep and can reach in some places up to 350 feet in depth. The temperature inside of the cave is chilly, so make sure you bring appropriate clothing. The limestone formations in the Ryusendo Cave are spectacular. More impressive is the underground lake this cave holds. 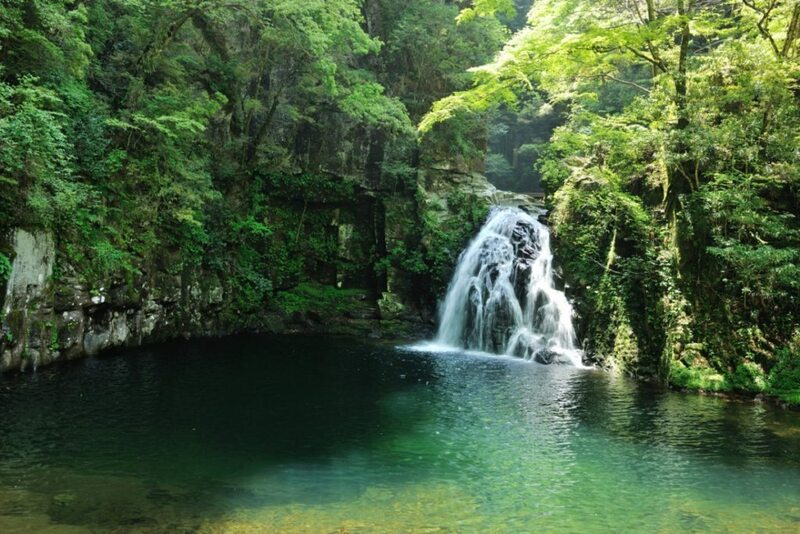 The 48 Akame waterfalls is a name given to a string of waterfalls that flow through Akame-cho, Nabari, Mie. 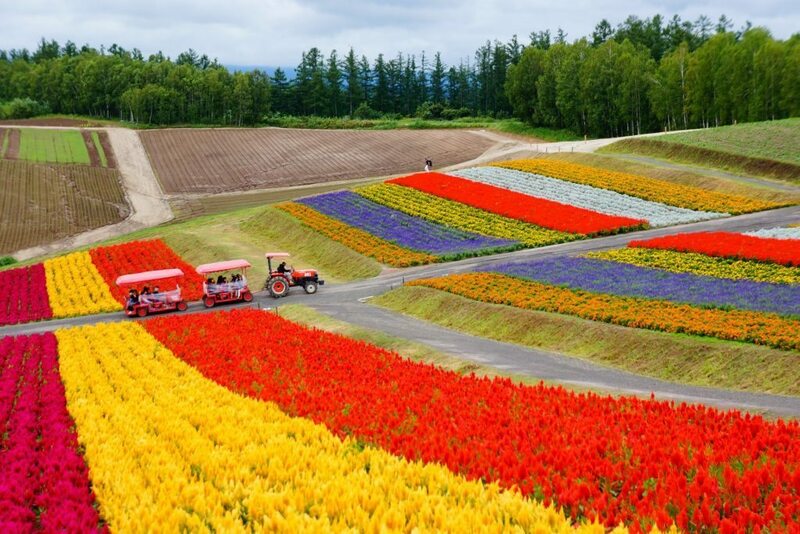 This is a wonderful place to visit to enjoy the best of Japan’s natural wonders. The biggest falls (Fudo, Senju, Nunobiki, Ninai and Biwa) are collectively known as the Akame Five. There’s a recreational path (about 4 KM long) that will lead you past several of these waterfalls while you enjoy the surrounding nature. This place is also famous for its giant salamanders, which swim in the river between spring and autumn. 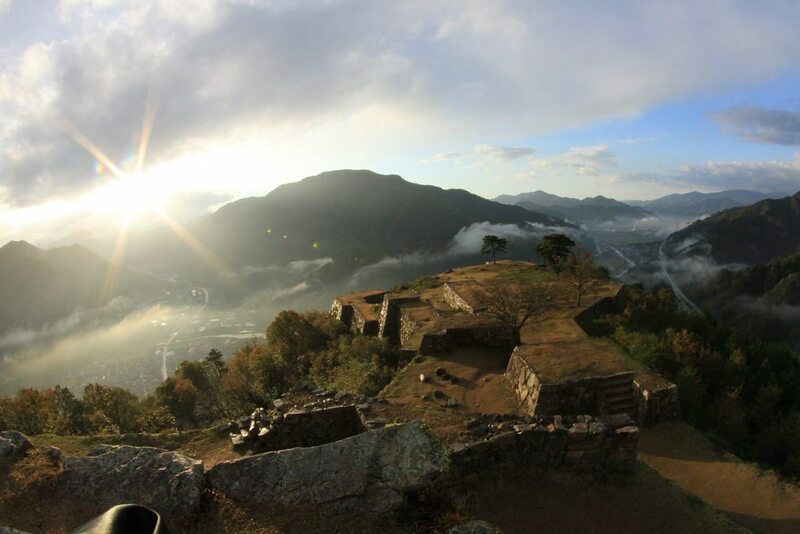 The ruins of Takeda Castle, located in the Hyogo Prefecture, is nestled on the summit of a mountaintop towering a 1000 feet over the surrounding area. All that remains of this castle is its foundations and some walls. So why should you make time to visit the ruins of a castle? Well this ruin is affectionately referred to as the Machu Picchu of Japan. When you visit in the morning time, you’ll be rewarded with breathtaking views of thick mists hanging in the sky surrounding the castle. This mist is where this castle got its nickname, the “Castle in the sky”. Be warned though, the hike up the mountain requires a basic level of fitness. Known today as “Japan’s Machu Picchu” is a steep climb from the train station but well worth the effort.